An in-house University film documenting the realities of life for female farmers in Ghana, last night scooped a top national award. Simon and Roy picking up their award at the British Film Institute last night. An in-house University film documenting the realities of life for female farmers in Ghana, last night scooped a top national award at the British Universities Film and Video Council (BUFVC): Learning on Screen Awards 2017, held at the British Film Institute in London. The 17-minute film, Gender and Fairtrade, was shot in Ghana in summer of 2015 and edited back at the University of Bath. Directed by Dr Roy Maconachie, from our Department of Social & Policy Sciences, it is a collaboration with Simon Wharf from Computing Services Audio Visual Unit and Dr Elizabeth Fortin at the University of Bristol. Telling the story of life for female cocoa farmers in Ghana, the film uses participatory video - whereby female farmers used video cameras to chart aspects of their lives – to highlight how access to land, capital and markets often remains the preserve of men. Despite their efforts, this shows how women’s ability to reap the financial rewards of their efforts is often limited. It has already generated important global impacts, having been screened to policy-makers including within Fairtrade in the UK, US and Africa alongside related research from Dr Roy Maconachie. 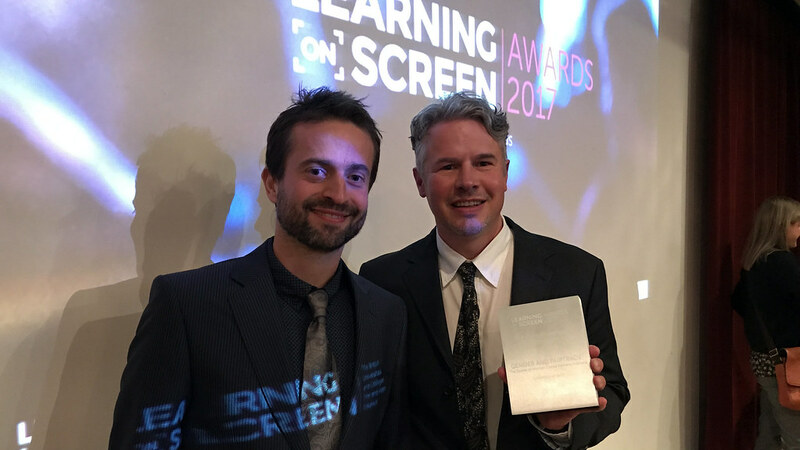 Dr Maconachie explained: “We are really pleased to receive this award and are delighted that our film has been so well received. We are grateful to the British Academy for funding the project. But ultimately, we are indebted to the female cocoa farmers in Ghana who took part in the study, and told their stories so creatively and passionately on film. Without their participation in the project, the film would not have been possible." The film saw off stiff competition to win the General In-House Production Award at last night’s Awards. The BUFVC event at the BFI was presided over by scientist, broadcaster and University of Bath Honorary Graduate Dr Maggie Aderin-Pocock. Simon and Roy are now editing footage shot during a recent trip to Sierra Leone’s main diamond producing region. The project, funded by the San Francisco-based organisation, Humanity United, will shine a light on the realities of life for some of the workers involved in diamond mining in the country and is due to be released in autumn 2017. The Governance of Small Scale Diamond Mining in Sierra Leone - Advanced Preview from University of Bath on Vimeo. 'Gender and Fairtrade' will also be shown as part of the University of Bath Festival taking place on Saturday 6 May.